As the NATO summit in Chicago approaches, misplaced paranoia is striking deep. A near-police- state regime is being imposed, not only to “protect” heads of state from protesters, but also to severely limit the freedoms of speech and assembly. Even nurses — the United States’ most trusted medical professionals — have been deemed too dangerous to be allowed to rally. There is an alternative to creating stability in one of the world’s poorest nations: All-party Afghan negotiations — including civil society — and a regional peacemaking process. The United States is in decline. Students can’t afford the world-class educations that are essential to both their economic security and the nation’s revitalization. Our infrastructure and transportation systems are in disrepair, lagging behind those in many other nations. U.S. defense spending nearly equals the next 17 countries’ military spending — combined! And the Bush tax cuts have made the one percent exceedingly richer. This slow motion debacle must be stopped. 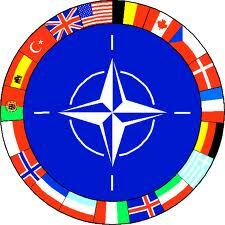 NATO was never an entirely defensive alliance. Former National Security Adviser Zbigniew Brzezinski describes NATO allies as “vassals” and explained that NATO provides a toehold from which to dominate Eurasia. Most people and nations resist being dominated. Since the end of the Cold War, at great expense, NATO has not focused on Europe, but on “out of area” operations like the Afghan and Libyan wars and partnerships from Mauritania to Turkmenistan, with more to come in Latin America to East Asia. We suffer from 21st century Jim Crow segregation. More than two million people — most of them people of color — are in prison. An estimated 11 million undocumented people, the vast majority tax paying workers and their families, are forced to live in the shadows, fearing deportation and family separations due to draconian federal policies like “Secure Communities and “E-Verify.” Children of immigrants who have excelled in school are denied access to college educations. Four years into the Bush Depression little has been done to address the “betrayal of American prosperity,” as detailed by Reagan-era trade tsar Clyde Prestowitz. The super-rich are getting richer. The middle class is shrinking. Millions of workers and their families suffer a jobless “recovery,” while corporations maximize profits and CEO salaries by sending manufacturing jobs abroad. And the campaign for European-style “austerity” means greater unemployment. Frederick Douglass, the courageous abolitionist, taught that power cedes nothing without a struggle. And the old folk saying reminds us that “we make our road by walking.” That’s why we’re coming to Chicago from Boston and San Bernadine, Tennessee and Toronto, Afghanistan, Afghanistan, Africa and Asia.